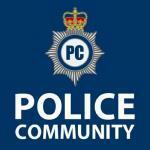 This is a General Discussion area and the place to post any questions or comments relating to the UK Policing generally. Are you thinking about joining the Police Service as a Special Constable or Police Officer? You can post general questions in here about the recruitment process, and get answers and support from others who are going through the process or already serving Officers. The place to discuss kit - boots, belt kit, clothing and gadgets as well as useful stuff like books and training aids.